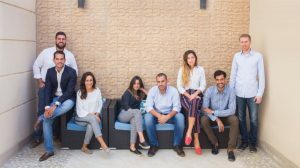 Success Stories in 2017: Despite the country’s economic and political instability, there was strong demand for real estate. The Real Estate Market in 2018: Both investment in and demand for properties will continue to increase. Cooing’s Tip: For clients purchasing real estate as an investment, we recommend that you buy smaller units instead of large villas. Cooing’s team wishes you peace, joy and prosperity throughout the new year. We want to express our gratitude to you, our clients, for putting your trust in us. We hope that you’ll continue to be the biggest part of our success story. Despite the country’s economic and political instability, there was strong demand for real estate in 2017. Here, our experts will focus on two mega projects that were launched in the 4th quarter. 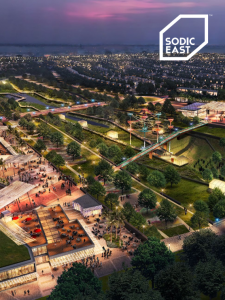 Sodic East is a massive project located 15 minutes away from the New Administrative Capital. Sodic developed this project to offer a wide range of living solutions in a truly integrated and modern community. The project proved to be a huge success. In only seven days, all the units available in the first phase were sold out (a net worth of 1.8 billion EGP). Il Bosco is located in the New Capital City and is developed by Misr Italia Properties. This residential project is built on 200 acres of land. 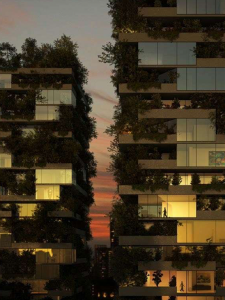 It is uniquely defined by its vertical forests, which are buildings designed to host trees and plants. All units that were available for sale quickly sold out (a net worth of 5.8 billion EGP). Having some insight about the future of the real estate market, can help you make the right choice when it comes to picking your new home. We believe that both investment in and demand for properties will continue to increase in 2018. Much of the attention will be focused on the New Capital City and other surrounding areas – such as Mostakbal City and New Heliopolis – where the government has offered several land plots for sale to developers and investors. The New Administrative Capital is a major achievement and a turning point in Egypt’s real estate market development. Located 45 kilometers east of Cairo, 60 kilometers from Suez and just outside the Regional Ring Road, it will contain a wide variety of residential areas. The New Capital City will also include the main government departments and ministries, as well as many foreign embassies. It will also host an exhibition city, convention center, medical city, smart city, an international airport and a diplomatic neighbourhood. With an estimated worth of 150 billion EGP, the project’s first phase spans 12,500 acres, with 25,000 residential units and an infrastructure to support them. Many developers such as Misr Italia Properties and Equity Real Estate Development have begun building projects in the New Capital City. The Capital Way by Equity Real Estate Development will be launched in January 2018 and is the perfect opportunity to buy fully-finished apartments with ACs included. It is being built on 42 acres and offers a wide range of units (apartments, duplexes & penthouses) with stunning views and various amenities. Mostakbal City is another promising district. It is located just a few minutes from Road 90, The New Administrative Capital, El Shorouk City, Madinaty and New Heliopolis. This will be the first Egyptian city to be made up entirely of compounds. Also, fifty percent of the city’s 11,000 acres will be covered in green areas. 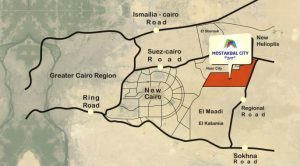 Hassan Allam Properties is making an investment of 18 billion EGP to develop a new project covering 250 acres in Mostakbal City. This project will be announced soon and is expected to be one of the prime compounds in this area. The Egyptian real estate market performed well in 2017, and we expect demand to increase in 2018. Even though demand continues to drive prices upwards, many developers are easing the payment terms to make buying new properties more affordable. A few years ago, most developers only offered up to three years payment terms. Now many of them have increased these payment terms to offer options of up to ten years. We expect this trend will continue in 2018, to compensate for the underdeveloped Egyptian mortgage market. Additionally, we anticipate that the high interest rates will decrease, which will drive more capital towards the real estate market. When the government bonds that offer returns of 20% are taken off the market, more people will resort to buying real estate as an investment. 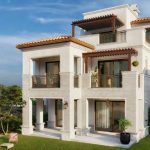 For clients purchasing real estate as an investment, we recommend that you buy smaller units instead of large villas, as there is higher turnover and more demand in this category. Moreover, with the same amount of money that you could use to buy one large property, you could buy several small properties. This allows you to diversify location-based risks and enables you to sell them off one at a time.